One of the coolest music events in South Florida is 104.3 The Shark's "Shark Out of Water" concert series. Staggered throughout the year at unique locations across South Florida, the series is for contest winners only and bring a mix of rising & established stars to these very intimate shows. 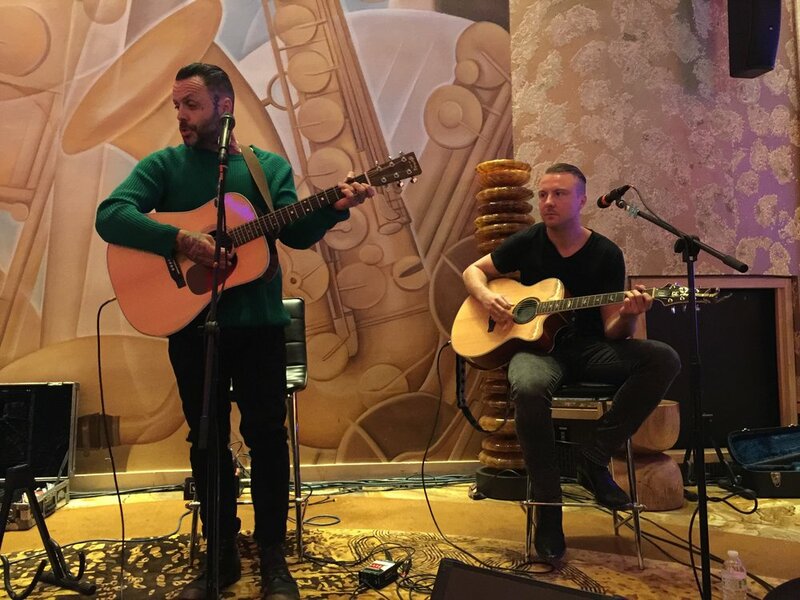 This past May they brought one of the most exciting bands that rarely venture to South Florida, Blue October. 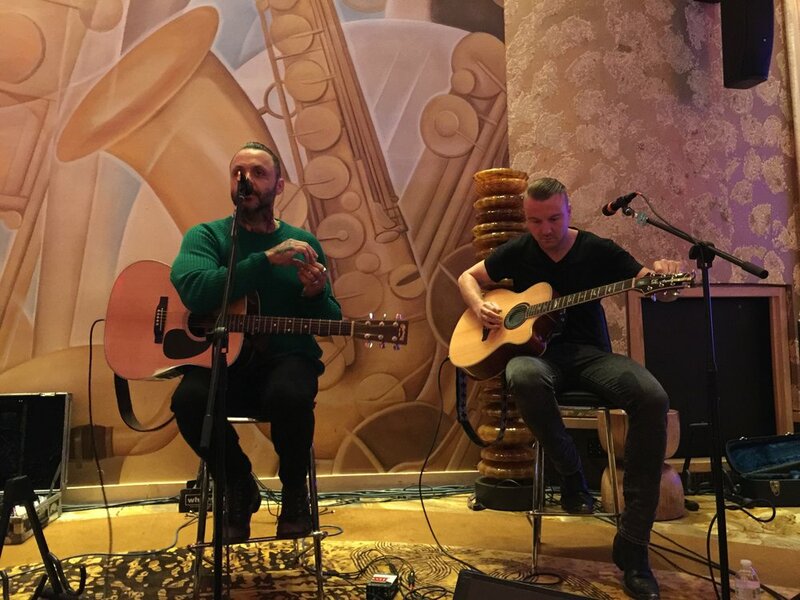 In front of an estimated 100 fans, Blue October delighted the winners to a 5 song acoustic set that included their new smash hit "I Hope You're Happy"
Inbetween the songs they held a Q&A where they also delivered the news that they will be releasing their 9th album "I Hope You're Happy" in a few months (actually August 17). Thank you to Blue October, 104.3 The Shark and Entercom for the great show!